Douglass Tilford Cameron was born at West Point, New York, 3 September 1894. He was killed-in-action 3 November 1918, near Novart, France. 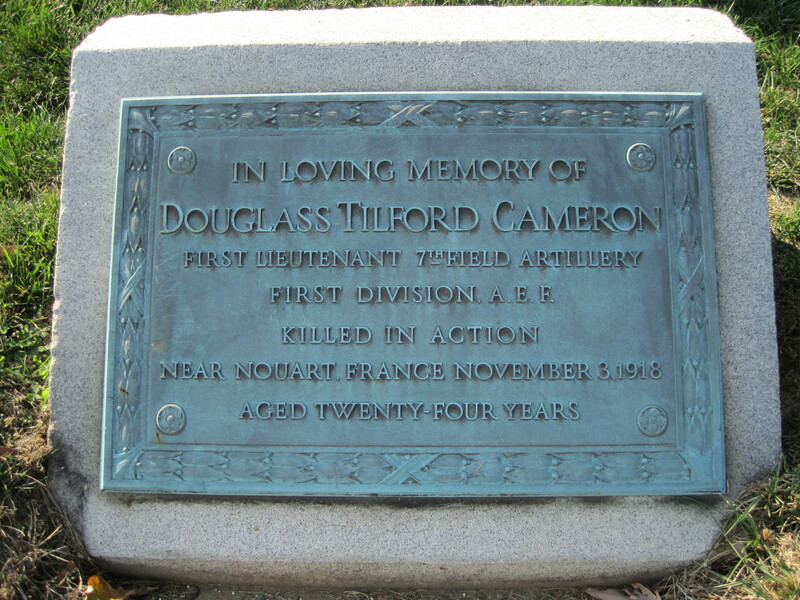 Douglass Tilford Cameron served as a First Lieutenant with the 7th Field Artillery, 1st Division, American Expeditionary Forces during World War I. Lieutenant Cameron was killed in action near Nouart, France, November 3, 1918, at the age of 24. He was subsequently returned to the United States where he was buried with full military honors in Section 2, Grave 1205, of Arlington National Cemetery. Based on his middle name, we believe that he was the son of Major General George Hamilton Cameron and Nina Dean Tilford Cameron. Research by Michael T. Stein indicates that he WAS indeed the son of the General. Lieutenant Douglas Tilford Cameron of the 7th Field Artillery was killed in action west of the Meuse on November 3, 1918. He was the only son of Major General George H. Cameron, Commanding the 44th Division. Lieutenant Cameron, who was 24 years old, was a West Point student for a time, and entered the service as second in command of the Division Headquarters Troop, 27th Division. For the duration of the Spartanburg Officers' Training School of the 27th Division, he served as Adjutant. He was married at Spartanburg to Miss Margaret Payne of Montclair, New Jersey. Lieutenant Tilford Cameron, a man of Chicago fighting stock, was killed in action in France on November 3, 1918. He was with the Seventh Field Artillery. In the fighting west of the Meuse he was assigned to a sniping or accompanying battery. "Here," writes a correspondent, "he was in his element, and in the desperate fighting that ensued young Cameron's pieces were boldly serving in the fact of decimating casualties. He met death as an honorable, gallant soldier prefers to die." 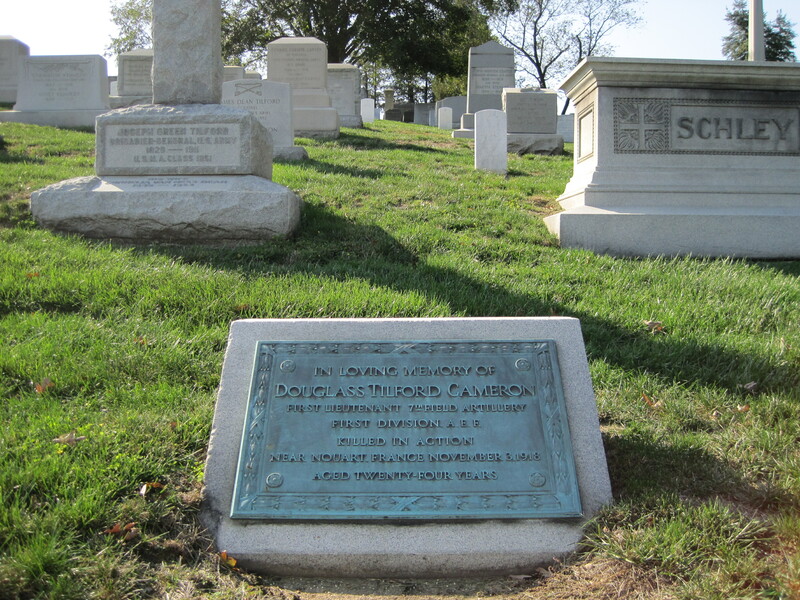 Lieutenant Cameron's father, Major General George H. Cameron, was born in Chicago and received his West Point appointment from here. He commanded the Fifth Army Corps in France at the time that his son joined that corps.